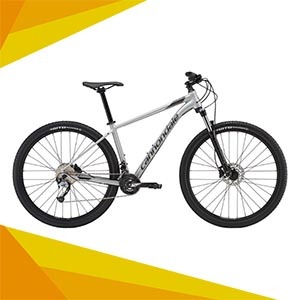 Diamondback is a brand who has been a fixture in the BMX and leisure spaces, but they have been making road bikes since 1990 and sponsor Rally Cycling, one of the best teams in the USA. The Haanjo represents something new for the brand, a foray into the gravel/adventure bike market. According to Diamondback, Haanjo is a Gravel Grinder. But, what’s a Gravel Bike? 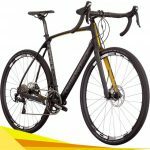 Gravel bikes are an increasingly popular choice as they offer a “one bike solution” to the needs of many consumers. 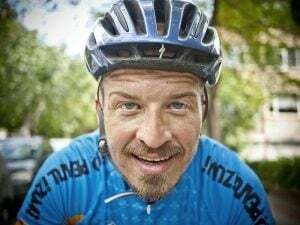 Wider tire clearances mean that trails, dirt roads and singletrack are all easily rideable, and they also make riding on bumpy and poorly surfaced tarmac much more enjoyable. Disc brakes improve braking on and off road and the slightly more relaxed gearing and geometry works well on a casual coffee shop ride or a full on mountain assault. This new genre of bikes has given a space for many new brands, such as Open and 3T to take ownership of a market that major companies have shown some reluctance to get into. 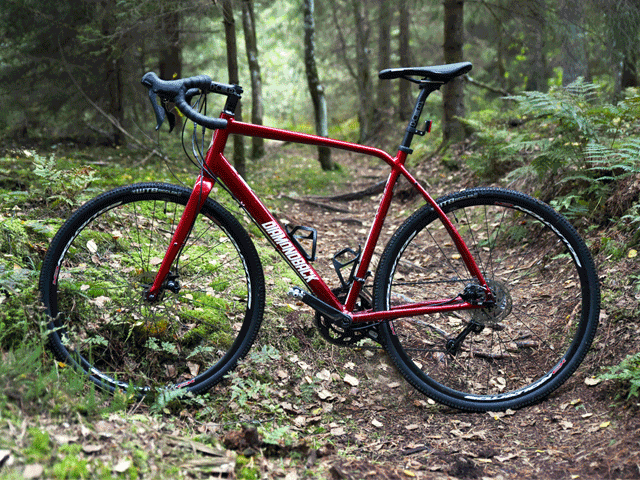 Often, this has resulted in gravel bikes being less than affordable, which is where Diamondback come in. The huge buying power of the brand, their experience working with carbon, and a pretty clear demand for bikes like this makes for an incredible value proposition like the Haanjo / Haanjen bikes for men and women respectively. It sits at the mid of the line and comes in at $949. For the money, it offers a pretty appealing spec from name brands. A Shimano groupset, Diamondback’s wheels, Tektro brakes and WTB tires all come from recognizably quality brands and had us excited to get out on the road less traveled to test it. Shimano’s Sora groupset offers shifting across the range of the 11—32 cassette and the 46/30 chainrings. At first, the high gear of a 46×30 looked small, but the combination of the larger tires (700x40c) and the nature of the rides we took this bike on (mostly off road or on dirt roads) meant that we were never left wanting a higher gear. The wheels promised a lot. They were solid performers but much improved with the conversion to tubeless (if needed). WTB Riddler Comp tires are excellent, but they really come into their own when running at lower pressures for better grip, sadly with inner tubes this isn’t an option as the likelihood of pinch flats is too high. Tektro Lyra mechanical discs are well known on the market and, at this price, we struggle to think of a better system. With the flat mount interface on the Haanjo and Haanjen frames, an upgrade wouldn’t be too costly, but would involve changing out the levers as well. 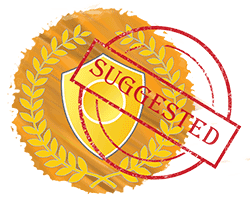 If you want, you can upgrade those. We’d suggest you just stick with the stock build as it’s fantastic value and plenty of braking power for on and off-road adventures. 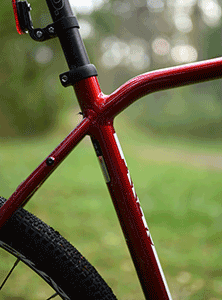 The frame itself has a fairly relaxed geometry, slightly taller and longer than a traditional cyclocross bike. This makes for a comfortable ride and a lot of stability. 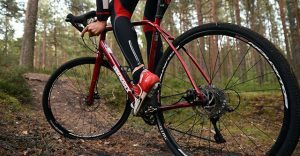 The bike handles better off road than many more road-style gravel bikes we have tested, even those of three times the price. Throw in a third water bottle cage mount, rack and fender compatibility and front and rear thru axles and you have a bike that can commute with you to work on weekdays and handle whatever touring, century rides or epic trail days you have planned for the weekend. This bike is like Barbie. You can change its clothes and it becomes a different person. 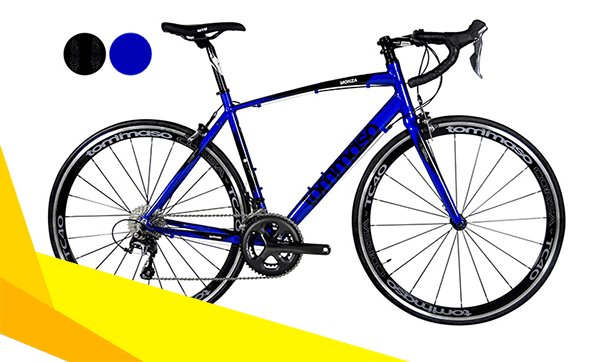 With a set of 700cx37 road tires, it becomes a stable and comfortable endurance road bike. 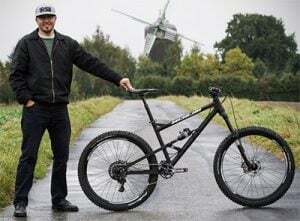 Put a set of 27.5 mountain bike wheels and some wide off road tires on there, and you’ll be keeping up with the dropper post and camelback crowd. The subtle graphics should leave you feeling comfortable wherever you decide to ride. There are so many models, which should I get? 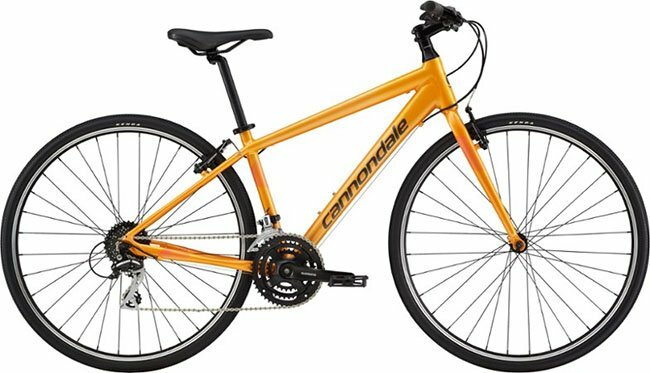 Diamondback offer several different trims on the Haanjo, including a flat bar model for just $899 and a bar end shifting 27.5-inch wheeled off road touring model. Lower down the range, frames are made from 6061 alloy. 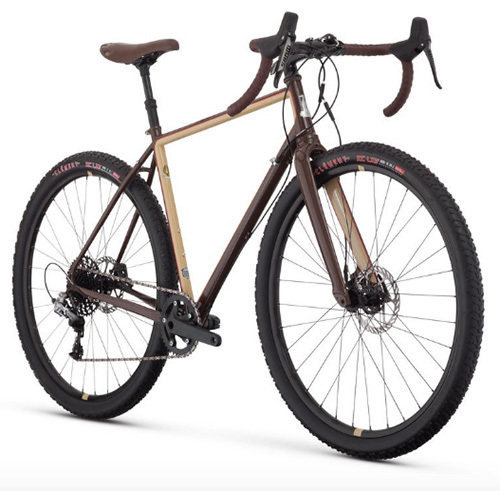 Although this might not have the same prestige, it offers incredible value and a little less to worry about when “sending” a technical trail. These alloy bikes also weigh less than their carbon counterparts. We love the understated aesthetics and variety of paint schemes across the range, from matte green to black and yellow to baby blue there is something for whoever you want to be, which is appropriate for a bike that lets you choose which rider you want to be every time you ride it. At the top of the alloy frame range is the $1,499 women’s specific Haanjen Comp. It subs in SRAM’s incredible 1x Apex groupset for a wide range of gears and only one chainring. This bike also offers hydraulic braking and the same Hed rims and a lighter weight than its carbon stablemate. Looking over the specs, we would probably opt for the cheaper Haanjo/ Haanjen Comp over the more expensive carbon models, spend some of the savings on 2 wheelsets (and a slightly smaller front chainring), and use the rest on a weekend away riding trails! These bikes aren’t that lightweight, and we think the 44 tooth chainring on the 1x could be swapped for a 42 to help with climbing on the 20+lb models. The 2x models have easier gears, but also tend to weight more. A few things on the bike did bother us. The handlebars are wide, really wide. This can help on technical trails but 18″ bars on a 22″ seems excessive to us. The stem comes in at a pretty short 100mm so this clearly biases the bike towards low speed handling and trail maneuverability but, for our money, a 42 or a 44 bar will give more versatility. The Haanjo Carbon Comp also downgrades the crankset to an FSA model which doesn’t shift as well as the Shimano equivalent. Fortunately, both of these things can be easily changed for not much money. The Haanjo is never going to be a bike for everyone, but it is a fantastic bike for many people. 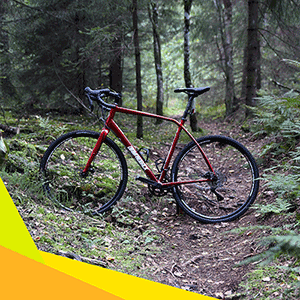 It offers amazing value and can easily replace a ‘cross, road and mountain bike in your garage for less than you might spend on any one of them. We think that the alloy comp frame offers the best value in the current line, and when paired with a quiver of wheels, it can help to open up the road less traveled whilst not limiting your performance on the road.